The chapters for this book came to me one day. I sat down to see these fingers type down the table of contents. The following weeks the content of the book was written, starting with the first words of the first chapter and continuing, word by word, chapter by chapter until it was finished. 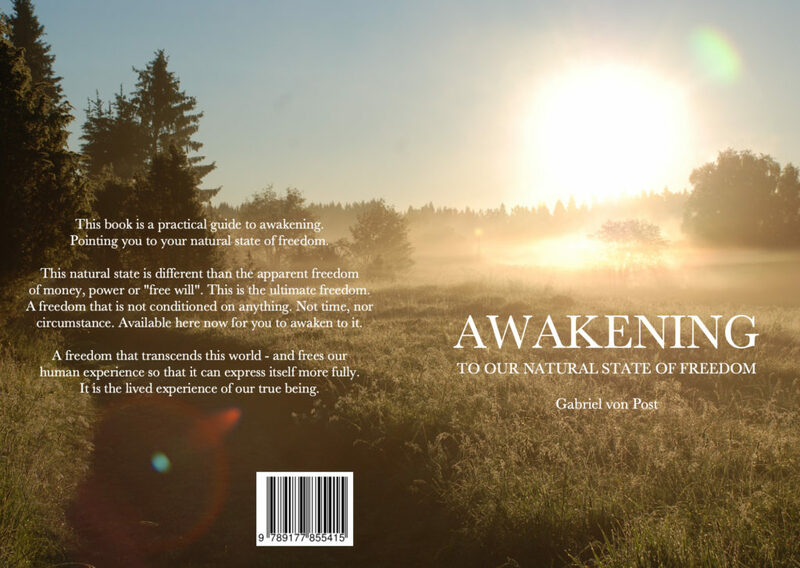 This book is a practical guide to awakening. Pointing you to your natural state of freedom. This subject is paradoxical. We are this freedom. And this freedom is already here, free. But somehow, our experience has managed to project a separate sense of being into a person. Attention in our experience feed stories and emotions and causing this play of mental suffering. Intellectual understanding of our true nature is useless. Somehow we must get to the lived experience of our true essence, our natural state of silence. We must somehow allow the dissolving of the mental tension, identification, and belief that seem to hinder us from the lived experience of silent awakeness. This book is based on the process I was guided through intuitively and sets out practical contemplations and practices that may guide you toward clear seeing. I believe that anyone that has the burning desire for freedom can become free. If your heart yearns for freedom, it is my hearts wish to help you see your natural state, the silent beauty of vibrating love, that which you have always been. Also available for Amazon Kindle here.